Not too long until ‘Scales’ appears in book stores – the publishers contacted me today to let me know that they’ve received their copies, and the shiny bits on the cover (there’s a technical term for this but I don’t remember what it is…) look great. My book has shiny bits! 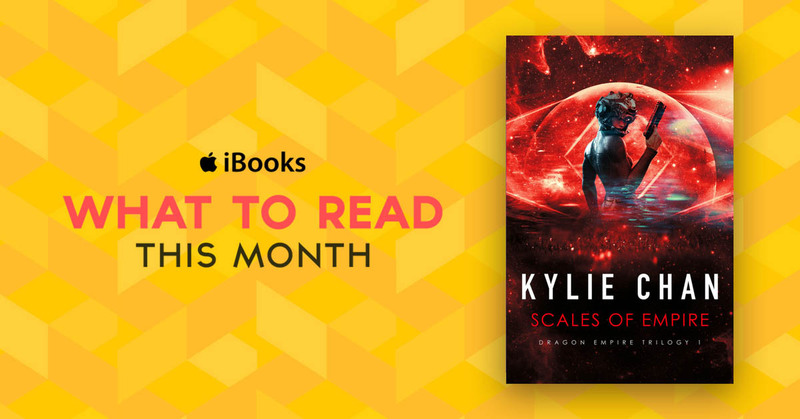 In the meantime, ‘Scales’ has been featured on the Apple iBook store as ‘What To Read This Month’! Usually books in this feature are literary fiction and non fiction, so it’s a real honour to be included…. This only works for people with Apple products, though.